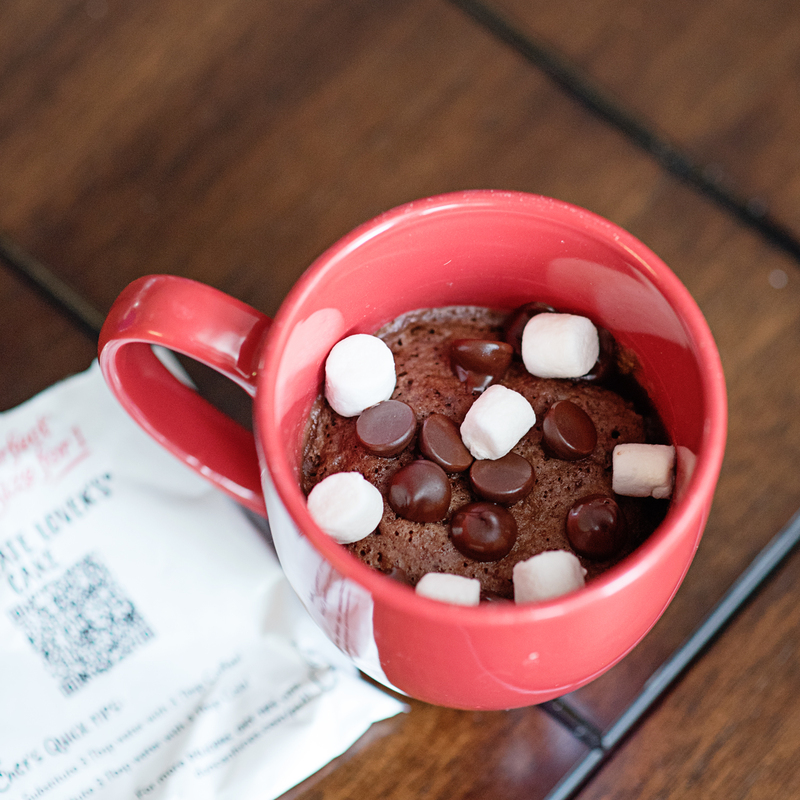 Perfect Size for 1 Cake Mix, Mug and About 1 Minute - Quick Warm Treat! Decadent, creamy cake can be made in a coffee mug, in 18 different varieties with flavors for morning, afternoon or evening indulgence. 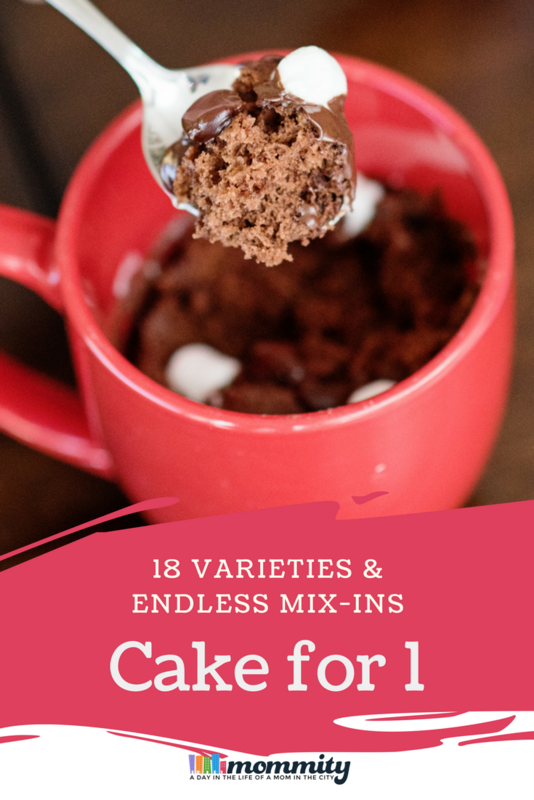 Which mix-ins will you use in this perfect size for 1 cake mix? I have a love affair with cake. I’ve been known to cook up a batch of cupcakes just to enjoy one and share with my family. Only problem is that one cupcake turns into 2, 3 and by the time they are gone, that little indulgence has turned into a binge fest. I know I’m not alone in this! I call this a single serving treat fail. Duncan Hines has become my hero and came out with these Perfect Size for 1 single serving portions of yummy, delicious cake. They come in 18 different flavors, you can mix them with any liquid that you like and add any extra ingredients to give you a warm treat whenever you want it. All you need is an 8 oz coffee mug, water (or any liquid of your choice) and about 1 minute of your time. Need some decadence in your life? Need some fun in your life? Prefer a little fruity flavor? Chocolate Lovers cake was my treat this week, I mixed in some dark chocolate chips and some marshmallows to add extra creaminess. I could have added some crumbles of graham crackers too! I bet that would be delicious. The first bite into my mouth was dreamy, there are little morsels in the cake mix that really make your mouth drool. You really have to experience this cake yourself to understand. Duncan Hines Perfect Size for 1 cake mix makes it into my grocery cart virtually every week. There are so many varieties to fit every occasion and with 4 servings in each box, there is plenty to spread out without overindulging. How perfect is that? 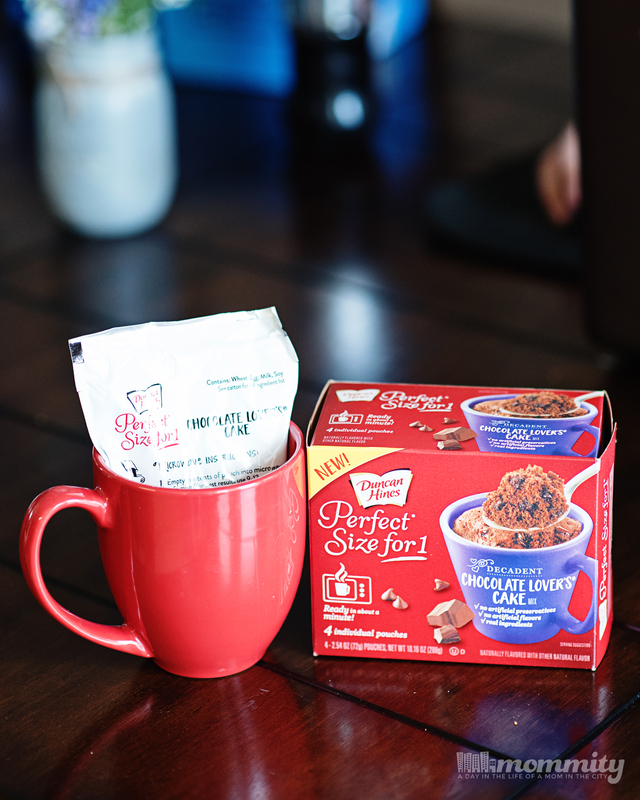 Disclosure : We partnered with Duncan Hines and The Motherhood to share this deliciousness with you. All opinions are my own.